We are very happy about the numerous greetings and warm words. Fact is: without our customers, partners and foundry friends and their trust, we would not be where we are today. Also important for this success are the employees, who always stand behind the company as a team. But also because of the person Zoran Tesic. He has been a great motivator with his entrepreneurial visions and his determination. For the first time, we had a stand at EuroGuss 2018 in Nuremberg and were thus able to establish important contacts for the trade in used aluminium equipment. The first projects are already in planning. • We are proud to announce that DISA has awarded us a contract to refurbishing of a complete Disamatic 2013 MK5 line. 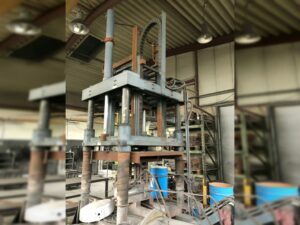 After refurbishing the machine will be tested in our factory in Iserlohn (without sand, of course) before shipment. Further such joint ventures are in pipeline. 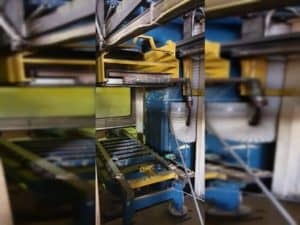 • Shortly before the end of the year, things got hectic again, when a furnace detonated at the foundry Schmolz & Bickenbach Germany. TCT team was at site immediately. 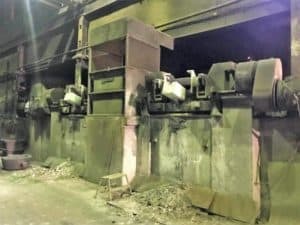 Within 3 weeks of hard work, the furnace was put back in operation. We are all a foundry family. The future of our customers is closely linked to the future of TCT. That’s why we eagerly look forward to your visit to GIFA Dusseldorf at our booth no.